Utopian is now enabling you to benefit more by supporting open source projectssteemCreated with Sketch. We at Utopian strive to bring our support to as many quality contributions as possible, by utilizing the stake we hold in the Steem blockchain (currently over 3.6M SP) to incentivize contributions to awesome open source projects. With this update we are giving you the opportunity to participate in the creation and distribution of these incentives. By creating @utopian.trail, Utopian wants to enable more Steem stakeholders to actively participate in the incentives distribution. Utopian holds significant voting power on the Steem blockchain, but that alone will never be enough to scale our support for the open source ecosystem. This is where you come in now. 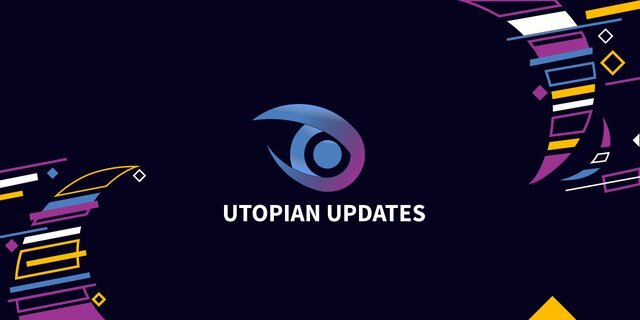 Thanks to this simple but effective @utopian.trail bot, you can now follow the @utopian.trail account and manually or automatically upvote high quality Utopian contributions before they are upvoted by the main @utopian-io account. This will assure you excellent curation rewards. Thanks to the way the Steem blockchain operates, every time you upvote a contribution, not only are you contributing to the open source mission, you are also generating curation rewards for yourself. By upvoting before the main @utopian-io account does, you are accessing even more of those. It is important to note that not every contribution with a score equal or higher than 60/100 will be upvoted by @utopian-io. However, we expect the majority of them will. We do this to enable a wider distribution of incentives to deserving contributions. By following the @utopian.trail you can rest assured that your vote will always go to contributions that are of high quality, as well as helping the growth of the Steem blockchain directly and indirectly. By clicking on “Settings” you can also change the voting power reserved for the trail, which by default is 50%. Also consider the age of the contribution in the post, in order to give quality contributions a better chance to get upvoted when they are nearing the payout window. Reduce the voting power reserved for external initiatives, which is going back to Utopian contributions across all categories. Reduce the voting power reserved for the #iamutopian category, which is used by our reviewers and community managers. The voting power reserve will be spread to all contributions in all categories. A special thanks to our review team, opting to lower their rewards to support more awesome contributors. First Time Contributing in Utopian.io? Utopian Witness Vote for our witness! Thank you very much for this amazing initiative! Great initiative, I'm all in and it's all setup. Win win for everybody! Quick question: how does this avoid the 30 minute curation window? Hey @shredz7 all the contributions upvoted by @utopian.trail are reviewed. That means a Utopian Reviewer must have made a review and scored the contribution from 0 to 100 based on the Utopian Quality Questionnaire, which can be found here https://review.utopian.io. It takes at least few hours before a review happens. So how can @utopian.trail upvote within 30 minutes to get the curation reward if it doesn't know the review value? This will assure you excellent curation rewards. Maximising rewards is not fully in our scope, spreading them is. Not so many accounts can cast a vote as big the utopian ones, indeed making the prediction of those upvotes quite beneficial for all followers in most cases. Sorry I had been confused about the way curation works - I thought no rewards were given out after 30 minutes were over. There isn't a cutoff for curation rewards is there? I thought you'd get curation rewards for any content upvoted until it's payout. Is that not correct? Can you give us an approximate number of votes per day in order to optimally adjust the Voting Power? This is great!!! Thank you for setting this up! This is a great value that you have added to the platform. It encourages quality content. Thanks for the initiative. You just got a 0.14% upvote from SteemPlus! Cool! Due to the same avatar icon, I actually thought my post in danger was actually mistakenly and generously voted by the main account. lol! Thanks a lot anyway! If there is such a bot, I'd like to delegate some. Thanks. Hi, @elear! Thanks for your reply. I know that but, it might be still good if we have a bot ONLY for the posts that didn't receive the main votings :) I think they also deserve some decent voting.